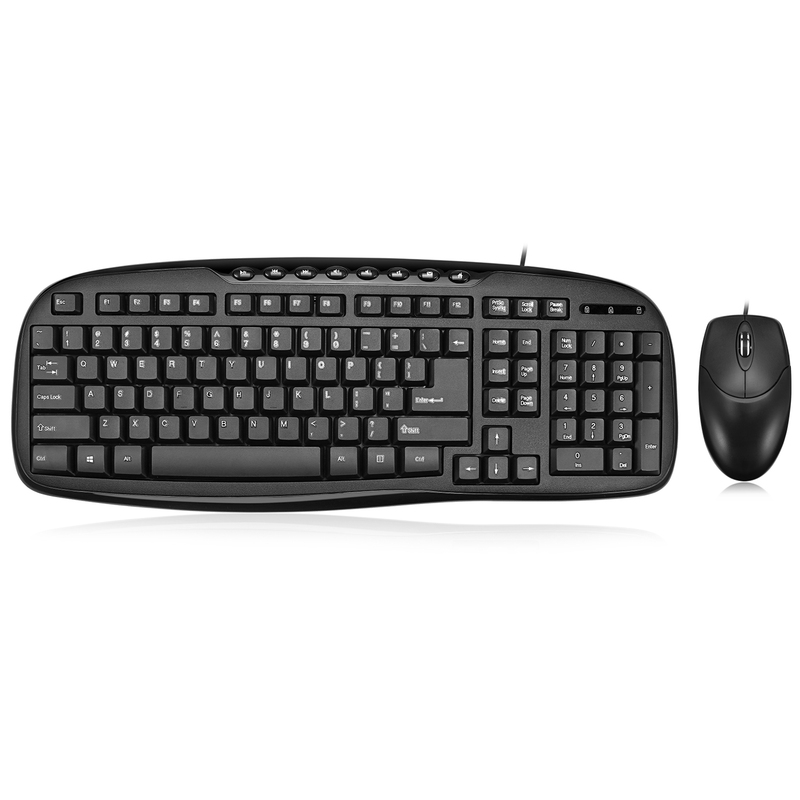 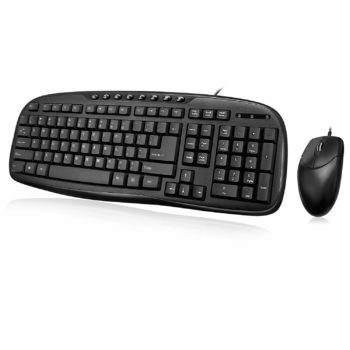 The Adesso® AKB-133CB Desktop USB Multimedia Keyboard and mouse combo is a great choice for users who want a stylish designed keyboard along with a mouse for home and office use. 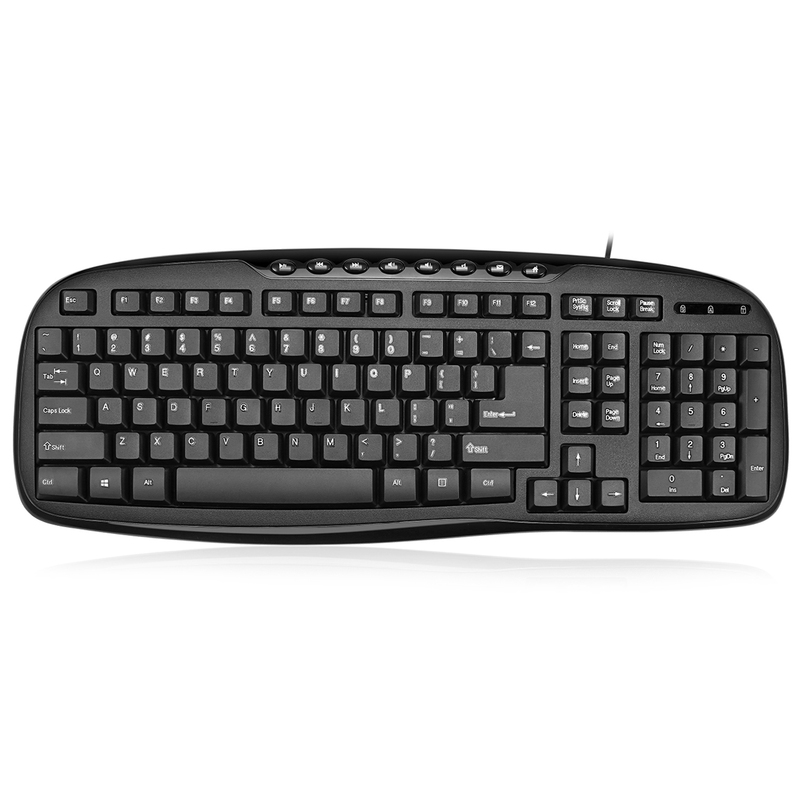 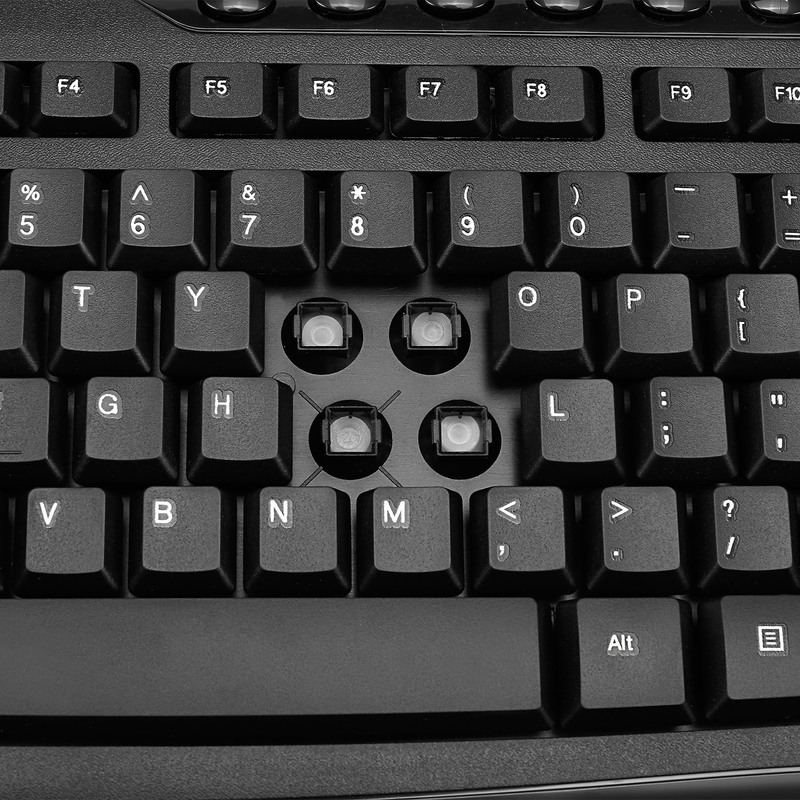 The keyboard’s Hotkeys provide quick access to your media player controls and other computer applications. 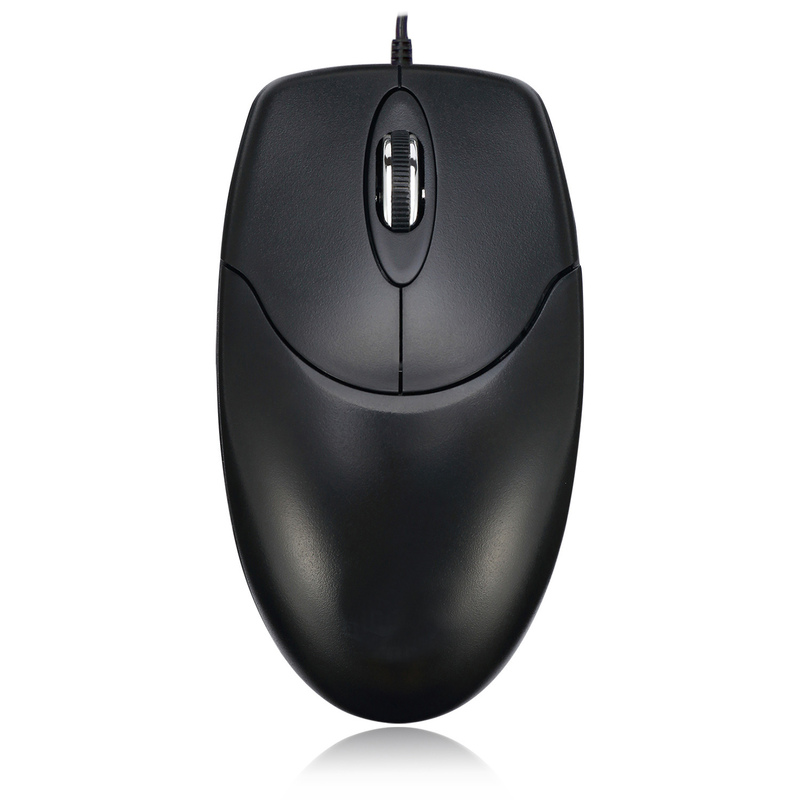 The 3 button mouse is designed with an enhanced optical sensor of 1000 DPI which provides better speed and accuracy. 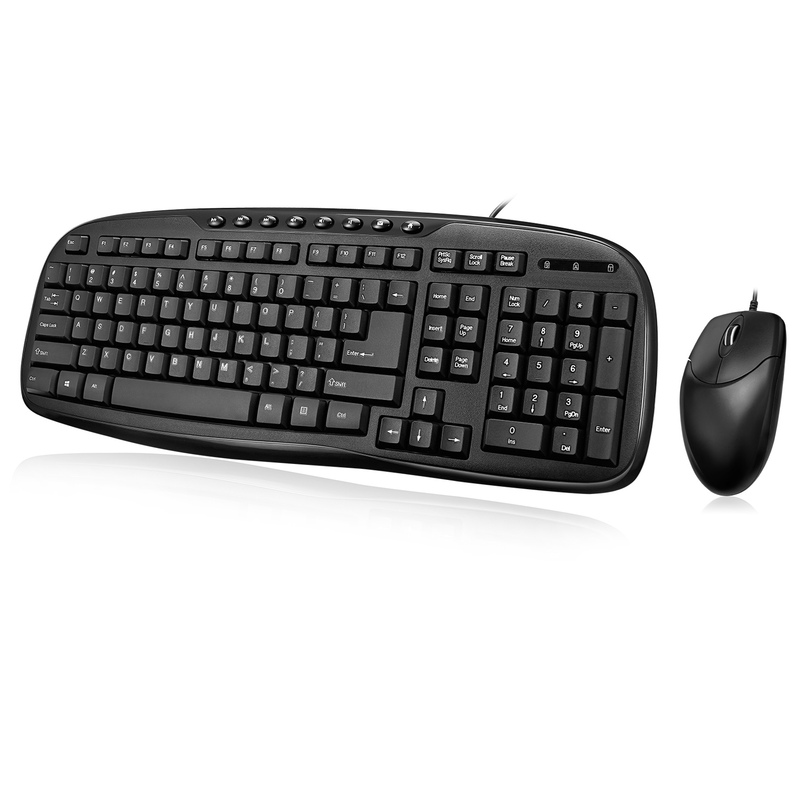 Get Instant access to your commonly used internet and multimedia tools with the 8 built-in hotkeys this keyboard has to offer. 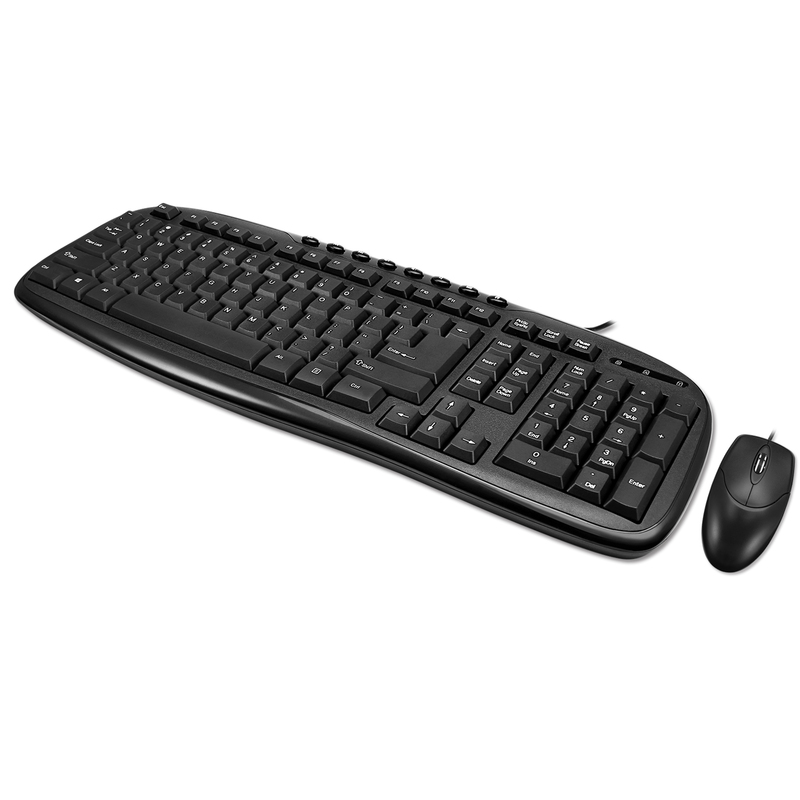 The EasyTouch™ 133 keyboard is less than 18” in length making it compact size and a desktop space saver, yet it gives you the functionality of a full size keyboard with a stylish shape and design. 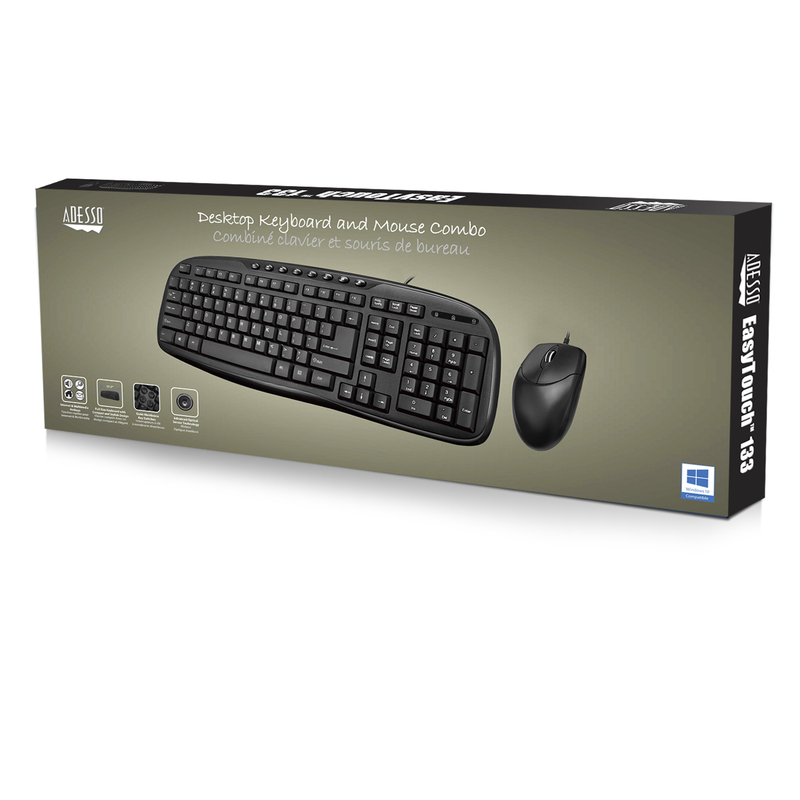 The optical sensor technology lets you work on most any surface with more improved speed, accuracy, and reliability than traditional mice.